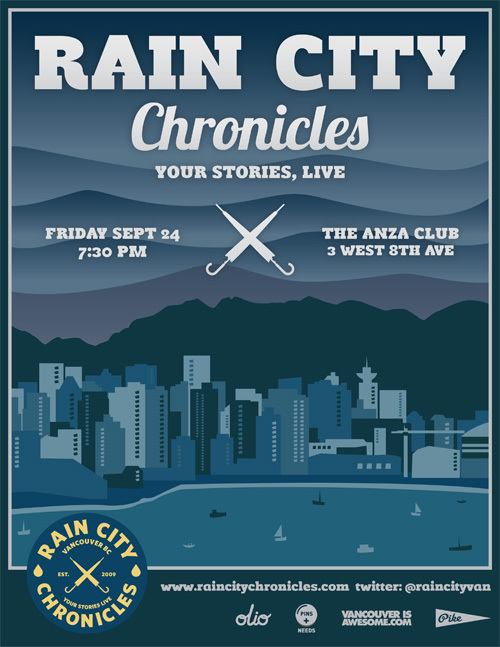 Next Friday September 24 I’m going to be telling a story with the theme of “Surprise” at Rain City Chronicles. Live Storytelling events are busting all over this city. The Courier just wrote an article about it and mentioned me. I’m so thrilled to be part of this show. And check out this incredible lineup!